I'm Sara Saltee and I help people like you understand the kinds of creator you are so you can stop agonizing over what you are meant to do and start making the contributions you are uniquely designed to make to the healing and evolution of our world. My clients work with me to claim their creative identities, orchestrate lives that honor all the kinds of creator they are, and practice navigating the emotional, spiritual, and practical challenges of the creating process. 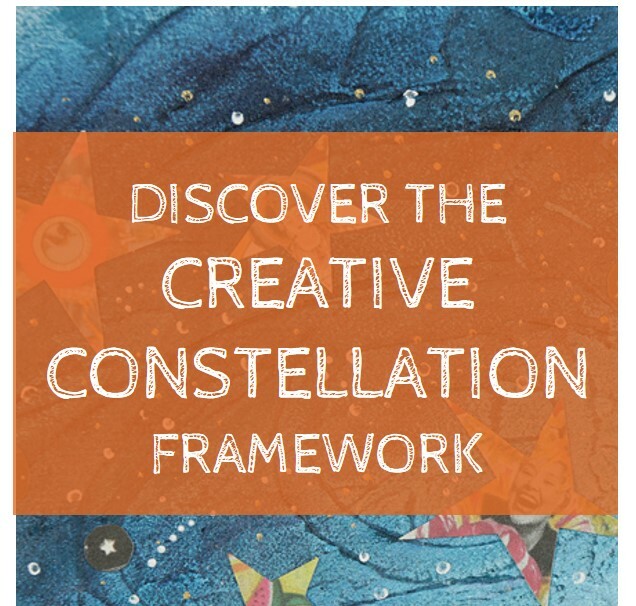 Using my original Creative Constellation framework, we explore the juicy intersection of creativity and life purpose, map the coordinates of your genius (however complex your genius might be), and start trusting the inner navigation system that is already trying to steer you toward a life big enough for who you really are. Thanks for visiting, I'm glad you're here! Download the Free Ebook "how are you creative?" For updates on classes, coaching specials, new books and tools, and a healthy dose of creative inspiration, get the Saltee Goodness Newsletter! You'll get fresh blog posts along with Hot Flashes (of News) delivered piping hot to your email every 2 to 4 weeks. Your information will be treated with great respect and the utmost privacy. Thanks for subscribing to the Saltee Goodness Newsletter! Welcome to the community of fabulous, complicated, evolving creators that is the Sara Saltee tribe. I believe you'll fit right in!